Judith F. Baca, The Great Wall of Los Angeles, detail with Baby Boom. Image courtesy of SPARC Archive. Murals, wherever they’re deployed, can be sites of cultural empowerment, protests aimed at the dominant culture, commemorations of heroes, or simple, subversive proclamations of existence. One of the many peer-led sessions from the 2015 ASLA Annual Meeting and EXPO held in Chicago. Until January 28, ASLA is accepting session proposals for the 2016 ASLA Annual Meeting and EXPO, which will be held this year in New Orleans (yes, it is exciting) October 21–24. The possibilities are broad. New topics, such as research into the mechanics behind a design, are always welcome to help push the knowledge discussion forward. But there is always an eager audience for familiar topics, says Emily O’Connor, the Education Programs Administrator at ASLA. “Residential design and sustainable development have been popular sessions in past meetings,” O’Connor says. But time is running out. Refine your topic, round up any other panelists you might invite, and get your proposal in! Credit: Yinan Chen [Public Domain], via Wikimedia Commons. Greenbuild Conference and Expo, Washington, D.C.
And as always, at more than 400 Barnes & Noble stores. Hopeful candidates pitch their projects and ideas to editors at the 2014 Meet the Editors in Denver. The ASLA Annual Meeting and EXPO can be a great way to catch up with current trends in the profession and those much-needed Professional Development Hours. But it can also be an opportunity to share with the Landscape Architecture Magazine team that much-beloved project you’ve been working on all year. 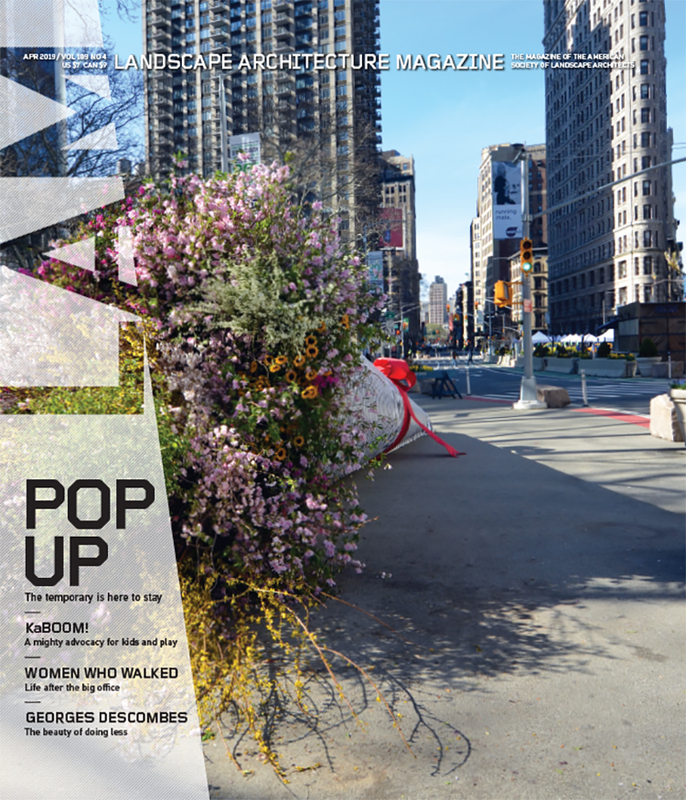 Editors from LAM, The Dirt, and Topos will be on hand at the 2015 ASLA Annual Meeting and EXPO in Chicago, Saturday and Sunday, November 7–8, for Meet the Editors, a time block of 15-minute sign-up sessions with your choice of editor to pitch story ideas or that project you’ve worked so hard on. New to Meet the Editors this year is Christopher McGee, Art Director for LAM, who will be available to provide feedback on photography portfolios. Spots are limited and fill quickly, so be sure to snag a session before they’re gone. 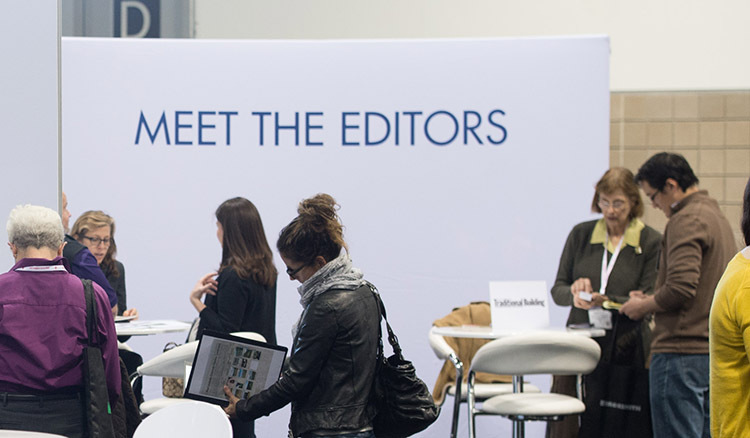 While we love to hear about new products and advertisements, Meet the Editors is meant for practitioners and professionals only. However, if you’ve got that hot new product you’re sure landscape architects will love, be sure to contact our Goods columnist, Lisa Speckhardt, at lspeckhardt@asla.org. Every year since 2008 at the ASLA Annual Meeting and EXPO, we’ve hosted the Landscape Architecture Magazine Advertising Awards, aka the LAMMYs, to honor our top advertisers from the past year. It’s a competition juried by a group of landscape architects who are also specifiers, and it’s open to any advertiser who bought at least one full-page advertisement or more in the magazine during the previous year. The award categories are Best Graphic Quality, Best Message, and Most Persuasive, as well as Advertisement of the Year. There is also the Advertising Hall of Fame, for companies whose work has been consistently strong. This year, there were more than 400 advertisers eligible for the LAMMYs. The 2014 jury included Scott L. Howard, ASLA, of Howard-Fairbairn Site Design; Margot Jacobs, Associate ASLA, of Mia Lehrer + Associates; Jennifer Nitzky, ASLA, of Robert A. M. Stern Architects; Michael Skowlund, ASLA, of Hoerr Schaudt Landscape Architects; Joshua T. Tiller, ASLA, of J. K. Tiller Associates; Jeffrey A. Townsend, ASLA, of Jacobs; and James J. Wolterman, FASLA, of SWT Design. Best Graphic Quality was awarded to Concreteworks, Fermob, Knoll, and Maglin. Best Message was awarded to 3Form, Belgard by Oldcastle, DCS/Fisher & Paykel, and Sunbrella/GlenRaven. Most Persuasive was awarded to Berliner Seilfabrik, Columbia Green, GOALZERO/Street Charge, and Spring Meadow/Proven Winners. The Advertisement of the Year Award went to Victor Stanley, who was also the third advertiser since 2012 inducted into the Advertising Hall of Fame. Congratulations to all of the 2014 LAMMY winners! You can check out the previous winners for 2013 and 2012 as well.